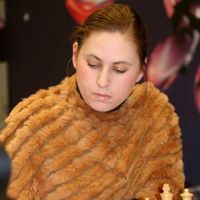 The International Chess Festival (part of the 18th Maccabiah Games) starts on July 12, 2009 at Netanya, Israel, with the participation of chessplayers of the highest class. The festival includes plenty of events for players at all levels, professionals as well as amateurs, together with various attractions. The main event is the Super-Torunament, with 12 elite Grandmasters, who will compete between July 12-14 in Rapid Chess (15m/game + 5s per move) and then on July 16 in Blitz Chess (4m/game + 2s per move). The Hon. Richard Riordan was Mayor of the City of Los Angeles 1993-2001. A lawyer and lifelong aficionado of Chess and friend of many leading players, Richard Riordan was moved to lend his public prestige and personal support to the Maccabiah in recognition of Maccabi’s encouragement of young Chess players in many countries, and in the warm spirit of fellowship and values shared by Israel and the United States of America. Israeli No. 1, currently in the world’s top 10. Individual Vice-Champion of the world 2007. 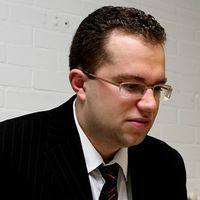 Led the Israel national team to a silver medal at the 2008 Chess Olympiad. Has won dozens of international competitions, the most recent of which is the ACP rapid World Cup, Odessa, May 2009. The strongest-ever woman in the history of chess. Youngest of the three sisters from Budapest who took the chess world by storm during the 1980s. Since her childhood played almost exclusively in male events. International Grandmaster at age 15 and a regular participant at top-class events. We are expecting one of the greatest ever chess festivals in Israel, regarding both quantity and quality. See you at the Maccabiah Games!